South Pasadena, FL. – April 11, 2019 – Gulfport Rehabilitation Center is adding a new café to their in-house library. The Treasure Chest Café is officially becoming a reality, all thanks to one idea from Quality of Life Director, Sue Whitham. Sue often faces the challenge of making arrangements for residents to go to the dollar store to purchase chips or other goodies, which sparked an idea. 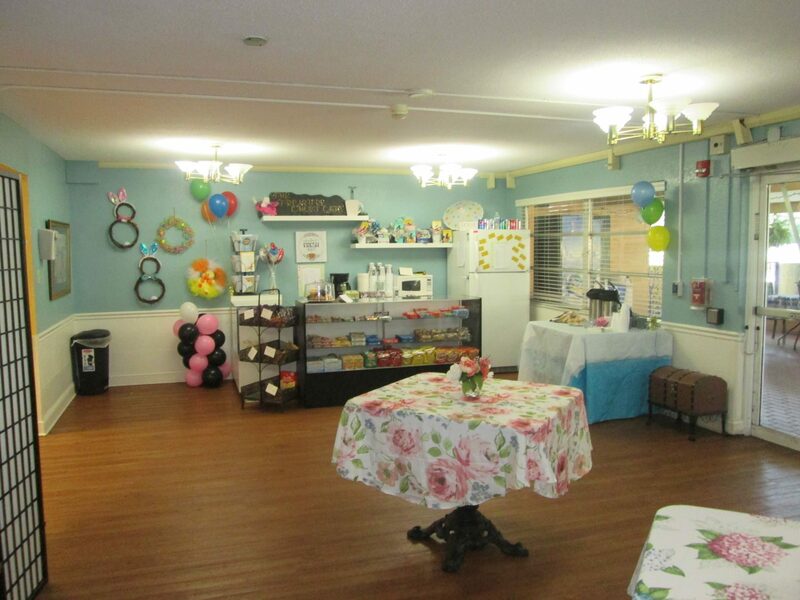 She wanted to create somewhere for residents, family members, stakeholders, and guests to go when they want to buy snacks, greeting cards, small gifts, and various other items while at Gulfport Rehab. Thus, the Treasure Chest Café. Residents and stakeholders at Gulfport Rehab collectively call themselves the “Gulfport Pirates,” which is one of the reasons for the name Treasure Chest Café. 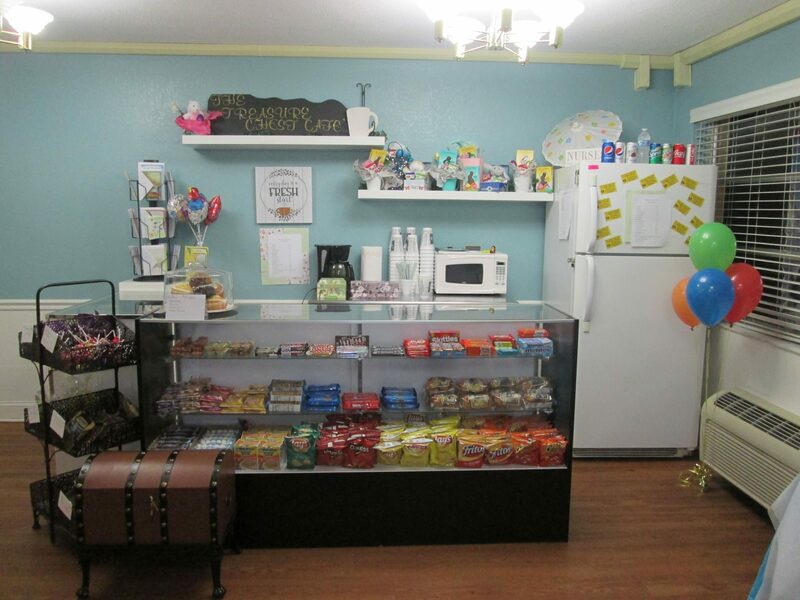 Individuals can visit the shop and find “treasures” for themselves or their loved ones, including coffee, fresh pastries, balloons, homemade jewelry, snacks, and much more. While several craft items have been donated by local family members and volunteers, many of the items have been created by residents as part of their quality of life activities. Conveniently located in the library, the café is its own entity separate from the day-to-day care and creates a community atmosphere where individuals can come together. The Treasure Chest Café is set to open on April 15 at 10 a.m. The store will be run by volunteers, overseen by the Activities Department, with the hopes of being open Monday – Friday from 8 a.m. to 3 p.m. If you are interested in being the newest volunteer at the Treasure Chest Café, please contact Sue at (727) 344 – 8525.